The average data scientist salary for an individual with 0-1 years of experience is $104,406, according to Glassdoor. The driving factor behind high data science salaries is that organizations are realizing the power of big data and want to use it to drive smart business decisions. And because the supply of data professionals hasn’t yet caught up with demand, starting salaries for these positions remain high ($50,000 to $95,000), especially for those who have an advanced degree in data science or a related field. Mid-level data scientist salary. 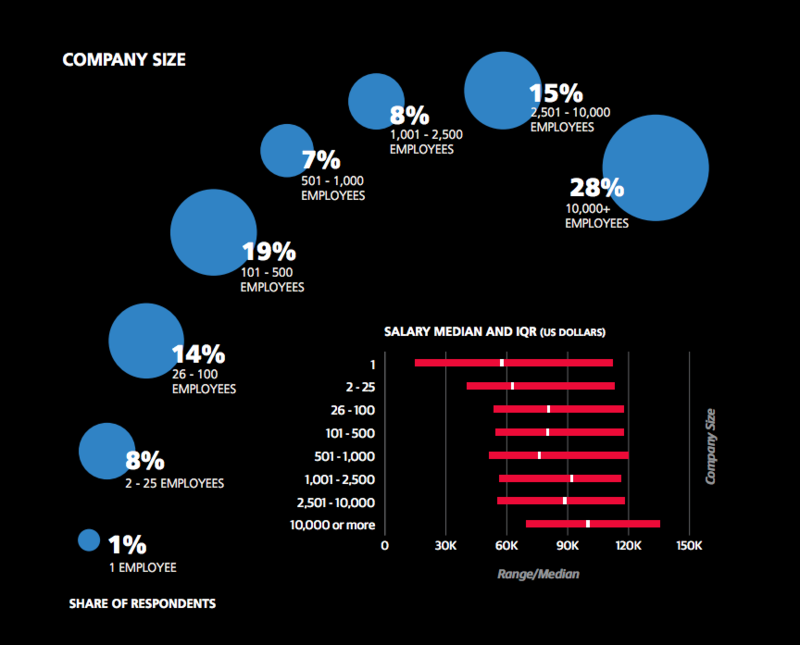 The median salary for a mid-level data scientist is $126,000. If this data scientist is also in a managerial role, the median salary rises to $190,000. Experienced data scientist salary. The median salary for experienced data science professionals is $157,000—while the median salary for experienced manager-level professionals is considerably higher at $250,000. Copyright © 2017 Board of Regents of the University of Wisconsin System. All rights reserved.